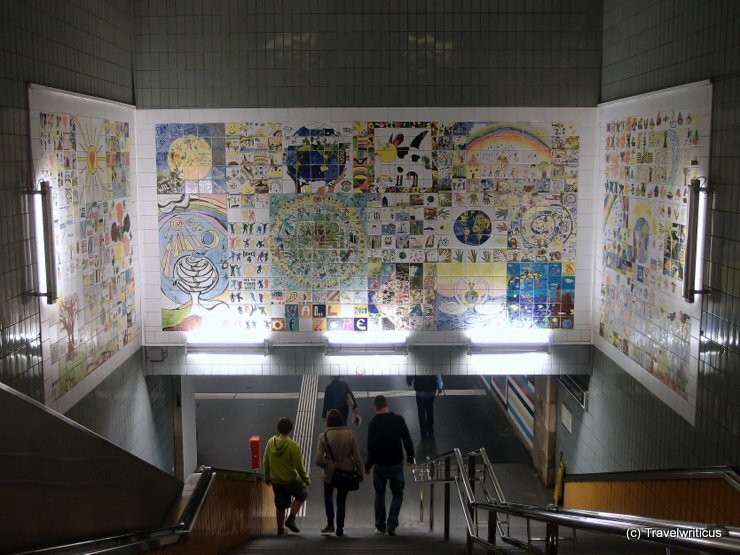 At the railway station Matzleinsdorferplatz one can see this artwork made of ceramic tiles. Students of about 20 Viennese schools put down their dreams and hopes for the 21st century in this artwork. This entry was posted in Public Art and tagged Austria, Vienna by Travelwriticus. Bookmark the permalink.